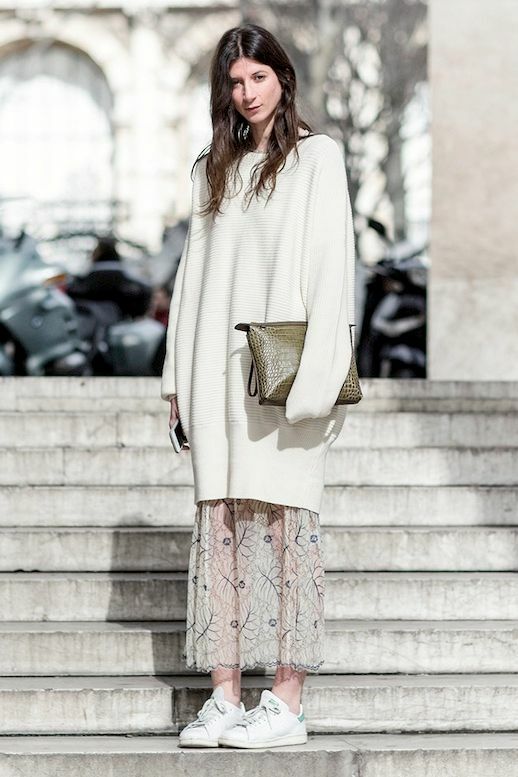 Currently crushing on these two innovative ways to elevate the basic sweater dress. Simply layer your oversized sweater on top a statement maxi (preferably in a soft, touchable fabric) then top off the look with trendy sneakers or python oxfords and voilà! An irresistible look is born.